Most Americans believe that the Federal Reserve is part of the government. They are wrong. It is a privately held corporation owned by stockholders. 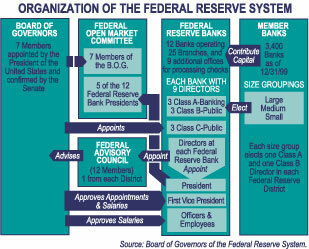 The Federal Reserve System is owned by the largest banks in the United States. There are Class A, B, and C shareholders. The owner banks and their shares in the Federal Reserve are a secret. Why is this a secret? It is likely that the biggest banks in the country are the major shareholders. Does this explain why Citicorp (C), Bank of America (BAC) and JP Morgan (JPM), despite being insolvent, are being propped up by Ben Bernanke and Timothy Geithner? The dates February 3, 1913 and December 24, 1913 framed a year which placed our country on a downward fiscal spiral. The United States had tinkered with an income tax during the Civil War and the 1890’s, but the Supreme Court declared it unconstitutional. Until 1913, the U.S. government was restrained from overspending because it was completely reliant on tariffs and duties to generate revenue. The Sixteenth Amendment changed the game forever. When you give a Congressman a dollar, he’ll take a hundred billion. The initial tax rates of 1% to 7% were rather modest. That did not last long. The top tax rate reached 92% during the 1950s and today rates are still 500% to 1,000% higher than they were in 1913. The government is addicted to tax revenue. In 2007, they absconded $1.2 trillion in taxes from American individuals. Does anyone think that the bloated government bureaucracy spent these funds more efficiently or for a more beneficial purpose than its citizens could have? $1.8 million to research “swine odor and manure management” in Ames, Iowa. $41.5 million to upgrade presidential libraries of Franklin D. Roosevelt, Lyndon B. Johnson, and John F. Kennedy, according to the Heritage Foundation. $2.9 million to study how to breed and raise shrimp on “shrimp farms.” Citizens Against Government Waste (CAGW) reports that since 1985 the federal government has allocated $71 million to the study of shrimp science. $209,000 to improve blueberry production in Georgia, according to CAGW. $200,000 for a tattoo removal program in Mission Hills, Calif.
$5.8 million for the Edward M. Kennedy Institute for the Senate in Boston, according to the Heritage Foundation. $6.6 million for Formosan subterranean termites, also according to Heritage. Those few who can understand the system (check book money and credit) will either be so interested in its profits, or so dependent on it favors, that there will be little opposition from that class, while on the other hand, the great body of people mentally incapable of comprehending the tremendous advantage that capital derives from the system, will bear it burdens without complaint, and perhaps without even suspecting that the system is inimical to their interests. The House of Rothschild had been the dominant banking family in Europe for two centuries. They were known for making fortunes during Panics and War. Some claimed that they would cause Panics in order to take advantage of those who panicked. 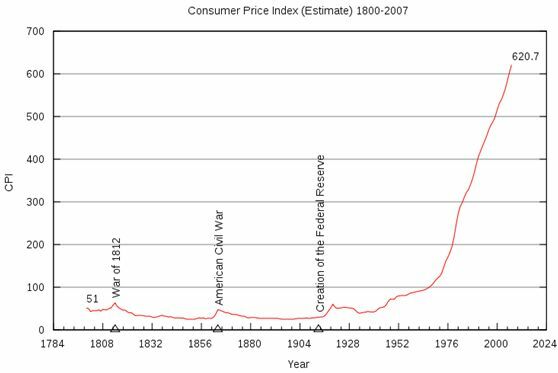 The Panic of 1907 was the used as the reason for creating the Federal Reserve. The Federal Reserve Bank of Minneapolis attributed the causes of the Panic of 1907 to financial manipulation from the existing banking establishment. If Knickerbocker Trust would falter, then Congress and the public would lose faith in all trust companies and banks would stand to gain, the bankers reasoned. In 1906, Frank Vanderlip Vice President of the Rockefeller owned National City Bank convinced many of New York's banking establishment that they needed a banker-controlled central bank that could serve the nation's financial system. Up to that time, the House of Morgan had filled that role. JP Morgan had initiated previous panics in order to initiate stronger control over the banking system. (Picture slimy Mr. Potter offering the members of the Bailey Building & Loan, 50 cents on the dollar for their shares during a bank panic in the classic movie Its A Wonderful Life.) Morgan initiated the Panic of 1907 by circulating rumors that the Knickerbocker Bank and Trust Co. of America was going broke, there was a run on the banks creating a financial crisis which began to solidify support for a central banking system. During this panic Paul Warburg, a Rothschild associate, wrote an essay called "A Plan for a Modified Central Bank" which called for a Central Bank in which 50% would be owned by the government and 50% by the nation's banks. In November 1910 a secret conference took place on Jekyll Island off the coast of Georgia. Those in attendance were: JP Morgan, Paul Warburg, John D. Rockefeller, Bernard Baruch, Senator Nelson Aldrich, Colonel House, Frank Vanderlip, Benjamin Strong, Charles Norton, Jacob Schiff, and Henry Davison. Out of this meeting of the most powerful bankers and politicians in the country came the plan for a Central Bank. This conference was unknown until 1933. In 1935, Frank Vanderlip wrote in the Saturday Evening Post: "I do not feel it is any exaggeration to speak of our secret expedition to Jekyll Island as the occasion of the actual conception of what eventually became the Federal Reserve System." Behind the scenes these powerful men were formulating the plan for a Federal Reserve System. There was no outcry from the public to implement this plan. The public knew nothing of this. The Aldrich Plan was renamed the Federal Reserve Act and pushed forward by Paul Warburg and Colonel House. Warburg essentially wrote the Act and pressured Congressmen to see his way or lose the next election. Colonel House, who had socialist leanings, was the top advisor to President Wilson. The Glass Bill (the House version of the final Federal Reserve Act) had passed the House on September 18, 1913 by 287 to 85. On December 19, 1913, the Senate passed their version by a vote of 54-34. More than forty important differences in the House and Senate versions remained to be settled, and the opponents of the bill in both houses of Congress were led to believe that many weeks would elapse before the Conference bill would be taken up. The Congressmen prepared to leave Washington for the annual Christmas recess, assured that the Conference bill would not be brought up until the following year. I am a most unhappy man. I have unwittingly ruined my country. A great industrial nation is controlled by its system of credit. Our system of credit is concentrated in the hands of a few men. We have come to be one of the worst ruled, one of the most completely controlled and dominated governments in the world--no longer a government of free opinion, no longer a government by conviction and vote of the majority, but a government by the opinion and duress of small groups of dominant men. There were some brave Americans who did oppose this legislation and foresaw the devastation that it would lead to. From now on, depressions will be scientifically created. John Maynard Keynes, the current hero of the Obama administration and Paul Krugman, had this to say about the Federal Reserve in 1920. Should government refrain from regulation (taxation), the worthlessness of the money become apparent and the fraud can no longer be concealed. By this means government may secretly and unobserved, confiscate the wealth of the people and not one man in a million will detect the theft. The American public was told that the Federal Reserve would eliminate any future bank panics. 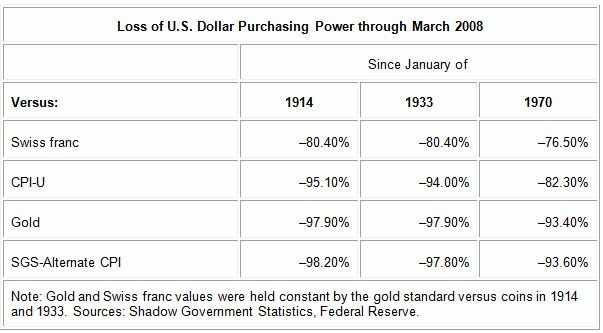 From 1913 through 1920, inflation increased at more than 10% per year as Wilson spent vast sums during World War I and its aftermath. From the early 1920s to 1929, the monetary supply expanded at a rapid pace and the nation experienced tremendous economic growth. Benjamin Strong, one of the participants at the secret conference on Jekyll Island, was the Federal Reserve head. By the end of the 1920s, speculation and loose money had propelled asset and equity prices to unsustainable levels. The stock market crashed in 1929, and as the banks struggled with liquidity problems, the Federal Reserve cut the money supply. This was the greatest financial panic and economic collapse in American history so far - and it never could have happened without the Fed's intervention. 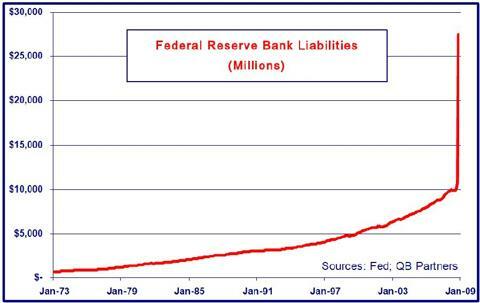 The Fed caused the bubble with loose monetary policy. The Depression did not become Great until the Smoot Hawley Act in 1930 destroyed world trade and the raising of the top income tax rates from 25% to 63% in 1932 destroyed the incentive to earn money. 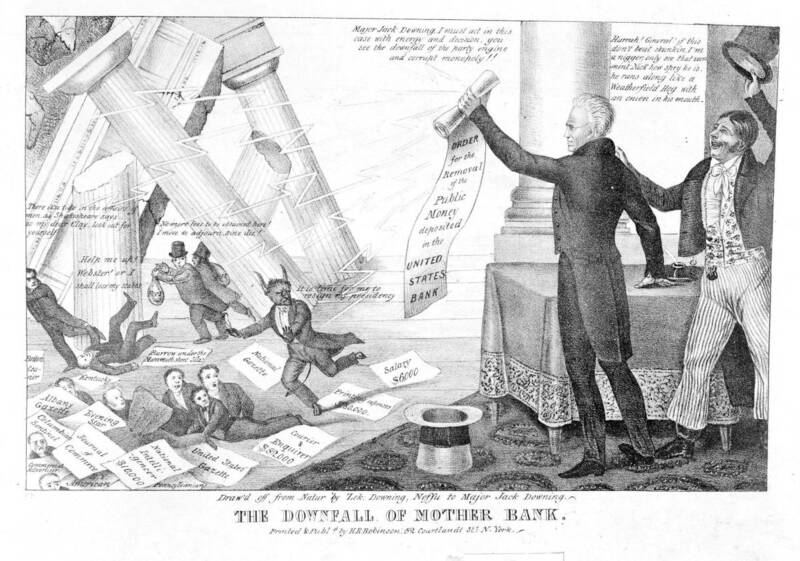 Over 9,000 banks failed and a few of the old robber barons' banks managed to swoop in and grab up thousands of competitors for pennies on the dollar. Unemployment reached 25% during the Great Depression; attained levels above 10% in 1982; and will breach 10% in the next year. Grade: Failure. Based on the chart above and the CPI data since the Federal Reserve’s inception, the dollar has lost 95% of its purchasing power. Grade: Failure. 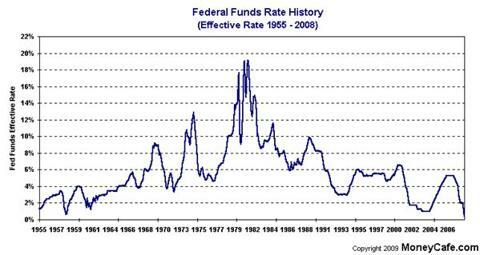 Based on the chart below, interest rates have been anything but moderate since the inception of the Federal Reserve. They have consistently caused booms and busts by setting rates too low or too high. Grade: Failure. The Federal Reserve was supposed to supervise the activities of banks. Instead, under Alan Greenspan, they stepped aside and let banks take preposterous risks while giving an unspoken assurance that the Fed would clean up any messes that they caused. This total dereliction of duty gross negligence has led the greatest financial collapse in history. Grade: Failure. The Chairman of the House Banking & Currency Committee, Louis T. McFadden, fought a lonely battle against the Federal Reserve in the early 1930s. He was swept out of office when his opponent in the next election received thousands of dollars in campaign contributions. Mr. Chairman, we have in this Country one of the most corrupt institutions the world has ever known. I refer to the Federal Reserve Board and the Federal Reserve Banks, hereinafter called the Fed. The Fed has cheated the Government of these United States and the people of the United States out of enough money to pay the Nation's debt. 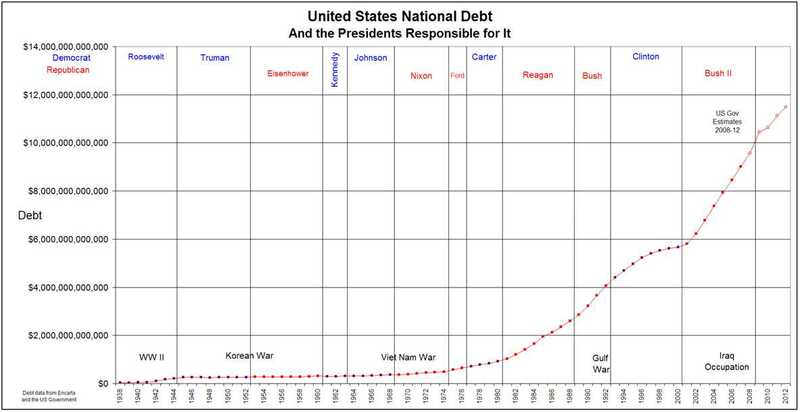 The depredations and iniquities of the Fed have cost enough money to pay the National debt several times over. This evil institution has impoverished and ruined the people of these United States, has bankrupted itself, and has practically bankrupted our Government. It has done this through the defects of the law under which it operates, through the maladministration of that law by the Fed and through the corrupt practices of the moneyed vultures who control it. Mr. McFadden has a soul mate in Representative Ron Paul from Texas. Mr. Paul has been on a one man mission to abolish the Federal Reserve for over a decade. He seems to be the only person in Congress with the courage, fortitude and intellect to understand the damage that has been caused by the Federal Reserve and call for its abolition. The entrenched political class, despise Mr. Paul because his call to abolish the Federal Reserve would destroy their ill begotten wealth and power. From the Great Depression, to the stagflation of the seventies, to the burst of the dotcom bubble last year, every economic downturn suffered by the country over the last 80 years can be traced to Federal Reserve policy. The Fed has followed a consistent policy of flooding the economy with easy money, leading to a misallocation of resources and an artificial "boom" followed by a recession or depression when the Fed-created bubble bursts. In conclusion, Mr. Speaker, I urge my colleagues to stand up for working Americans by putting an end to the manipulation of the money supply which erodes Americans' standard of living, enlarges big government, and enriches well-connected elites, by cosponsoring my legislation to abolish the Federal Reserve . Representative Paul sized up his colleagues in Congress and the Federal Reserve perfectly in 2006 when they were oblivious to the impending disaster that was about to befall the nation. He was belittled by the mainstream press and fellow Congressmen. The coming dollar crisis is not likely to be “fixed” by politicians who are unwilling to make hard choices, admit mistakes, and spend less money. Demographic trends will place even greater demands on Congress to maintain benefits for millions of older Americans who are dependent on the federal government. Faced with uncomfortable financial realities, Congress will seek to avoid the day of reckoning by the most expedient means available – and the Federal Reserve undoubtedly will accommodate Washington by printing more dollars to pay the bills. The Fed is the enabler for the spending addicts in Congress, who would rather spend new fiat money than face the political consequences of raising taxes or borrowing more abroad. The irony is that many of the Fed’s biggest cheerleaders are the same supposed capitalists who denounced centralized economic planning when practiced by the former Soviet Union. Large banks and Wall Street firms love the Fed’s easy money policy, because they profit at the front end from the resulting loan boom and artificially high equity prices. It’s the little guy who loses when the inflated dollars finally trickle down to him and erode his buying power. Someday Americans will understand that Federal Reserve bankers have no magic ability – and certainly no legal or moral right – to decide how much money should exist and what the cost of borrowing money should be. Before he became a tool of the political ruling elite and the bankers who truly control the country, Alan Greenspan actually understood and supported a currency backed by gold which couldn’t be manipulated by corrupt politicians. The confiscation of middle class wealth through the insidious use of inflation has proceeded unchecked for 96 years. 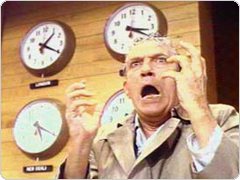 Howard Beale, the news anchor in the movie Network, could have spoken the same lines today that he was speaking in 1976. He describes our current financial crisis to a tee. Anyone who is not mad as hell at this point is not paying attention. Your tax and spend corrupted politician leaders and your banker controlled Federal Reserve have borrowed and spent your tax dollars, your children’s tax dollars, and their children’s tax dollars desperately attempting to prop up this bankrupt system. 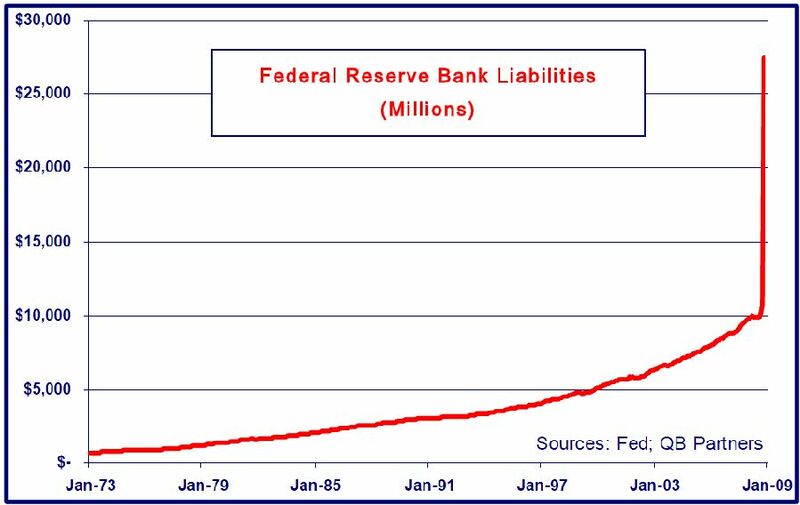 The unleashing of a never ending tsunami of printed dollars by the Federal Reserve makes every dollar worth less. 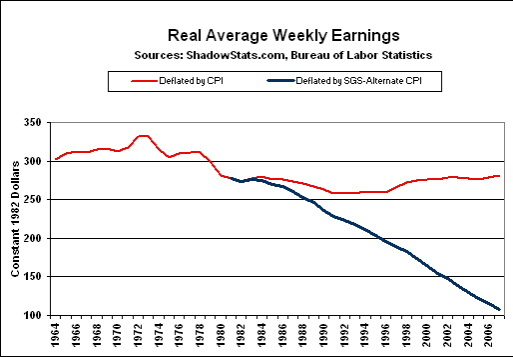 They have systematically created inflation that has slowly but surely reduced your standard of living. Politicians in the pocket of lobbyists, corporate interests, and bankers have used their power to tax in order to spend trillions on worthless projects in their districts to insure re-election. The combination of taxing and printing has led to a National Debt of $11 trillion. Bankers love debt. The more debt, the more interest they collect. Issuing credit cards and collecting 21% interest and billions in late fees seemed like a can’t miss proposition. It was until people couldn’t pay the debt back. Now the unwinding of the greatest debt bubble in history has created a 2nd Great Depression. Instead of learning from the past, the Federal Reserve has chosen to do exactly what led to the crisis. They have lowered rates to 0% and have printed money at prodigious rates. The Fed has doubled their balance sheet in the last 12 months. They have loaned billions to the bankrupt banks that inhabit our financial system while accepting worthless pieces of paper as collateral. They have hailed back to Jekyll Island and the cloak of secrecy. They will not reveal to the public the banks they have loaned money to or the collateral that backs up those loans. The arrogance of Ben Bernanke proves that the Federal Reserve answers to bankers, and not to the American public. The books and records of the Federal Reserve are not open to scrutiny by the General Accounting Office. Ron Paul has introduced the Federal Reserve Transparency Act which would open their books to the public. No organization with as much power as the Federal Reserve should be permitted to operate in the shadows. After digesting this disgusting list, do you feel under taxed? The future is cloudy but the direction is clear. Government will spend trillions of dollars. Congress will increase taxes on the rich and secretly raise taxes on the masses by calling them cap and trade fees. The Federal Reserve will pull out all stops to create inflation. When you owe the rest of the world $11 trillion, inflation makes the debt less burdensome. The dollar will decline versus gold. With the enormous amount of currency creation and spending by the government, the economy will eventually pull out of this depression. The acceleration will take the Federal Reserve by surprise. They will be hesitant to raise interest rates. The inflation genie will get out of the bottle and will not go back. 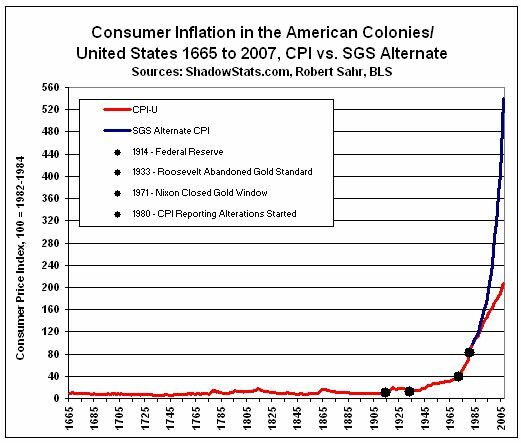 The hyperinflation that takes hold will lead to social unrest, rioting, and a drastic reduction in the American standard of living. There is no solution that will not be painful to everyone in the United States. The only solution that would put America back on a path of sustainable prosperity would be a gold/precious metals backed currency that would force government and its citizens to live within its means. Congress would need to vote for something that would take away its power. With our current political system, this is impossible. Money is power. This leads to only one conclusion. The existing Ponzi scheme will have to collapse before we can adopt a rational financial system for America. It may take decades, or it may happen in 2010. No one knows. If the country can be convinced to follow the wisdom of Ron Paul, we still have a chance to avoid this fate.